The E3Tech Conference starts 1 week from today! Didn't you hear me?! What are you waiting for? Stopping reading this blog and go register to attend! Click here before you go any further. Overkill? I think not. I have personally attended this conference for the past two years and it has been my favorite professional development of all time. Warsaw Community Schools organizes and hosts the conference, which means it is always extremely well done. Presenters come from all over the country with a wide variety of backgrounds and expertise, which means you can learn about all the "up and coming" things in the world of #edtech. They give free prizes (I'm talking ipads, classroom sound systems and subscriptions to software here, no joke) . You network. You eat Panera. WHAT ELSE IS THERE IN LIFE?! It's two days of stretching, learning, experimenting, and planning for the upcoming school year. If you miss it, you're silly. Need more convincing? Thanks to the E3Tech Conference, I personally have learned about flipping my classroom (thanks, Brian Bennett!, inquiry based learning, blogging, using Google for more than just gmail (thanks, Matt Miller! ), setting up video conferencing, recording my voice with Fuze, using Evernote for student conferences (thanks, Heidi Class! ), teaching character development in every subject (thanks, Angela Maiers!...AND, not to mention, this was the conference that first introduced me to the wonderful world of Twitter 2 years ago (thanks, again, Lorinda Kline!). The keynote speakers I listened to TWO years ago still stick with me because they challenged my preconceived notions of what technology could and couldn't do. Should and shouldn't do. I can still remember direct quotes from these speakers because they were that poignant. That relevant. I tell everyone I can that if you can pick one conference to go to...GO TO E3! Not sure what you will find there? Read on! For the first time this year, I will be presenting at the conference! I am both humbled and PUMPED to get to share two ways that technology has truly impacted my learning, teaching and my students. It feels like "giving back" to the conference in a way because I have benefited so much from what others have shared! As we learn more about "flipping our classroom" and integrating 1:1 technology in our schools, it is vital that we find the right tools to use. 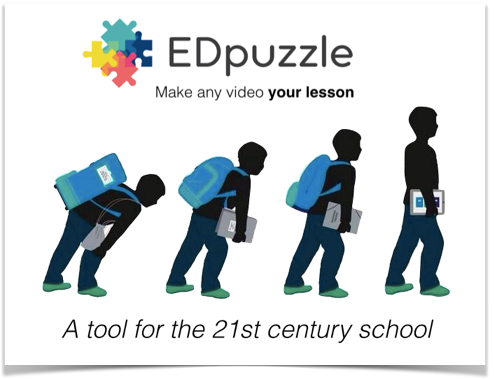 EDPuzzle allows you to make any video your lesson! Participants will learn the basics of how to upload a video, edit it, embed quiz questions and assign it to their classes. They will see how EDPuzzle grades assignments for you and the resources that are available for teachers as we see what students do and don't know. Before leaving, teachers will create an EDPuzzle account and experiment with how they can use this in their content area. Are you new to Twitter? 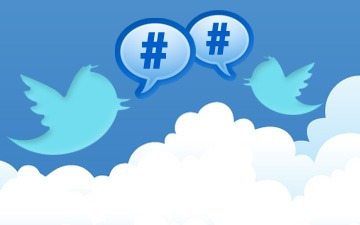 Come learn how to grow professionally by participating in the wide world of Twitter chats. Feeling clueless about what Twitter chats are? This session is for you! We will learn chat etiquette and "how-to's" as well as be introduced to a few of the most popular educational chats going on now. Participants will also learn how to create Twitter chats for ongoing student dialogue after school hours. Please come with a Twitter account already created. If you are interested in attending the conference, here is the recently posted schedule of presentations. If, by chance you can't make it, be sure to check out the hashtag #e3tech on Twitter later for ongoing dialogue about what we are learning!